(NASHVILLE, Tenn.) – When Grant Maloy Smith decided to record a concept album about one of the darkest periods of American history, he turned to some of Nashville’s top session players for help. 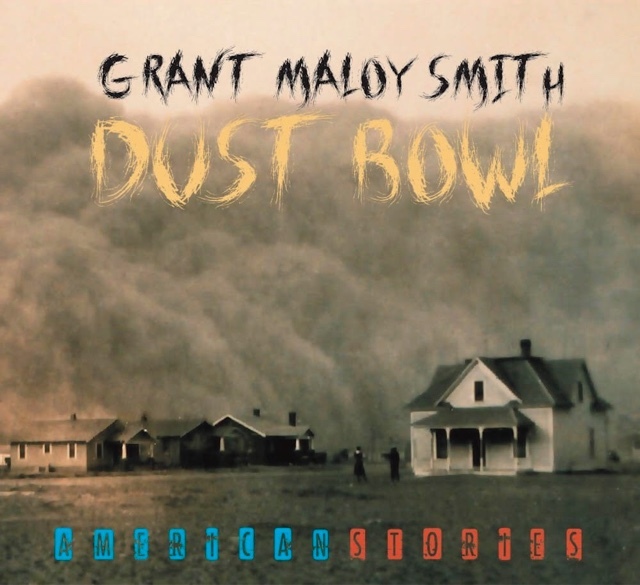 “Dust Bowl – American Stories” consists of 13 songs about the series of massive dust storms that ravaged the Southern Plains during the 1930s, destroying crops and killing livestock. Each song tells a different story about how the Dust Bowl affected farmers, ranchers, Native Americans and children. “My main goal in writing the album was to capture the hardy nature of those people who endured so much, set against the backdrop of this real-life drama,” Smith said. Though he is based in Rhode Island, Smith spends a lot of time in Nashville, which is where he recorded and mixed “Dust Bowl.” Among the musicians backing Grant on the album are Jeff Taylor (accordion), Mike Johnson (pedal steel, lap steel), Gareth Laffely (Native American Flute), Scott Vestal (banjo), Steve Stokes (fiddle, mandolin), Tim Lorsch (cello, viola, violin), Troy Klontz (pedal steel, dobro) and 13-time IBMA Dobro Player of the Year Rob Ickes. Smith wrote the songs on “Dust Bowl” himself, but shares producing credit with Jeff Silverman of Palette Music Studio Productions. Silverman’s previous credits include projects with Rick Springfield, The Allman Brothers, Boyz II Men, George Clinton, Paula Abdul and other prominent artists. With “Dust Bowl – American Stories,” Silverman proves he is as skilled working in Americana as he is in the pop world. The music of Grant Maloy Smith is available on iTunes, Amazon and CDBaby. Information is available at www.Grant-Maloy-Smith.com.